So Fine. So Soft. So Beautiful. 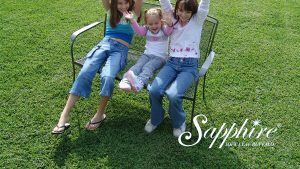 Sapphire® Soft Leaf Buffalo lawn has all the benefits of the other high-performance Soft Leaf Buffalo grass, such as; needing less water, deep roots, greener in winter, a good sun or shade lawn and hard wearing. However, Sapphire® has the added benefit of a finer texture and deep green colour. Sapphire’s® fine texture is due to its folding leaf. When Sapphire® matures, its leaf folds at tight angles along its axis, resulting in a fine texture. This is important, because fine leaf Buffalo lawns usually have thatch problems, are shallow rooted, poor wearing and are slow growing. A Sapphire® Buffalo lawn does not suffer from any of these problems. Sapphire’s® deep-rooted system means it will stay greener for longer in dry summer conditions and requires less watering than most lawns. It is ideally suited lawn and has excellent winter colour in Brisbane, Sydney, Melbourne, Adelaide and Perth.